Our extensive FAQs are here to answer any questions you might have about Bluegum Electrical Solutions and our services. Here you’ll find information about costs and payment, accreditations, quotes and much more. But if you can’t find what you’re looking for? Contact us for help or call 1300 306 342. We carry portable EFTPOS machines to ensure secure, easy payment upon completion of work. Yes. We carry portable Commbank CARD machines to ensure secure, easy payment upon completion of work. We accept all credit and debit cards, except American Express or Dinners Cards. Do you provide certificates of electrical safety? Yes. Absolutely. Bluegum Electrical Solutions provide a certificate of electrical safety with every job we complete. Can you complete work on the same day you quote? Yes! Our fully stocked Bluegum Electrical Solutions vans carry all the critical materials we require to complete works during our visit. This saves you the hassle of multiple visits wherever possible. Do you offer an emergency electrical service outside of business hours? Yes. We’re ready and waiting to assist you with our emergency electrical service 24 hours a day. Power outages, lighting repairs, hot water service repairs and other electrical conundrums will be swiftly dealt with. To ensure you pay for service and expertise rather than time spent onsite, Bluegum Electrical Solutions provide upfront quotes based on task rather than an hourly rate. This is to our clients’ benefit, and guarantees your work is completed efficiently and for a fixed fee. Do you provide any warranty or guarantee on your work? Yes. We offer our customers a five-year guarantee on our workmanship. Bluegum Electrical Solutions use and recommend high quality products with warranties in-built, and will assist you in following up should there be any faults. Do all of your electricians hold an electrical licence? Yes. Each Bluegum Electrical Solutions technician holds a minimum ‘A Grade Electrical Licence’. Do you clean up after you’ve finished your work? Yes. We have a clean up guarantee, ensuring there’s no trace of mess left behind. Is Bluegum Electrical Solutions a franchise? No. 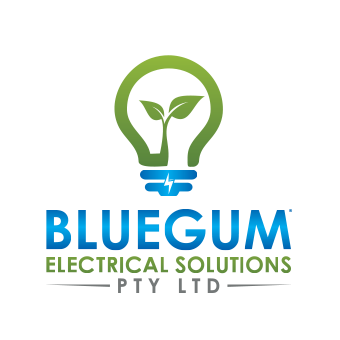 Bluegum Electrical Solutions is a proud family-run business based in Melbourne’s northwest. While we offer free onsite quotes, a small call out fee is included in our quote. This nominal fee is only applicable if you proceed with the quoted work. Bluegum Electrical Solutions will not charge to come out and have a casual chat about your needs. Will you call to confirm before you arrive? Yes. Absolutely. We provide a courtesy confirmation call 15 minutes prior to our arrival. No. In the interest of looking after our technicians health, we don’t offer Saturday appointments. However, our team may make exceptions in appropriate circumstances, such as for small business’. If you’re availability is limited we recommend an early morning appointment before work at 7:00am or 7:30am to complete our free quote before you leave for work. If you’re still unsure simply give us a call on 1300 306 342 and we’ll do our very best to accommodate you.